Attaching sheds has never been more accurate!! This ANTLER BASE by Hilton Eppley is precisely created to match the exact contours of the antler-skull-base of a whitetail deer. 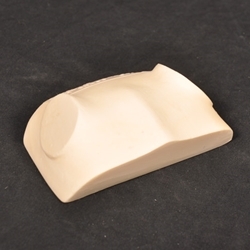 This ANTLER BASE makes it possible to accurately attach antler sheds for easy mounting.